Home Meet the Innovators Mentor Europe Will 5G make fixed wireless access come of age? 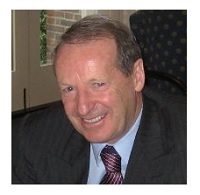 David is the Chief Executive of Mentor. He is a trusted hard-core specialist with encyclopaedic skills on strategy execution – a down-to-earth practitioner, with over 30 years’ experience in telecoms, media, and service industries. He has helped many clients setup new businesses – Energis, Eircell, Virgin Mobile, Three, 5 Television and Tele2. Other key clients include Airwave, BT, Cable & Wireless, Dell, eir, EE, Lilly, O2, lastminute.com, Vodafone and BSkyB. What do you think? Get in touch at enquiries@mentoreurope.com and let us know! How to solve UK mobile network operators’ biggest obstacle.